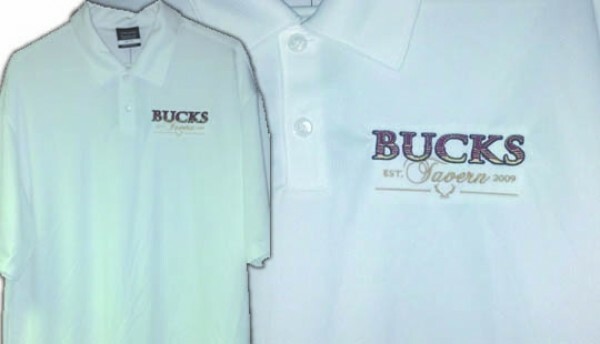 Embroidered Polos for Restaurant Uniforms. Customize your apparel. Signco offers 4 main services to customers: Screen Printing, Sign Making, Promotional Products, and EMBROIDERY. Embroidery is the perfect look for polo's, hats, golf bags, lap top carriers, etc. If you've noticed, there are Embroidery shops all over the place! Malls, Shopping Centers, Grocery Stores...they're everywhere! What sets us aside from places like these is our ability to create unique designs with the skill to back it up. What many people may not know, is that without a proper stitch file, the sewn out logo may look loose or messy and eventually unravel. Signco has professional digitizing when preparing stitch files and our Embroiderer has over 17 years experience in the field. This makes for flawless embroidery and a bold timeless statement. When ordering embroidered apparel through Signco, you can work with our sales team to pick the best apparel we have to offer or you can even supply your own if you prefer. Give Signco a call and our friendly staff will be happy to help with any questions you may have.